At Taksim you can have a better chance to mingle with the local, not with a tourist. And after the exhausting night out, you don’t need to worry about the transportation to your hostel. We are right here to serve you. We are also closer to old Istanbul; the touristic peninsula and big touristic spots. Grand Bazaar, Spice Bazaar, Blue Mosque, St. Sophia and Topkapı Palace. You can walk to Sultan Ahmet or you can take a metro with tram. We prefer walking. Since it takes only 30 mintutes from here to Eminönü and a bit more to Sultan Ahmet on foot. On the way to old town you can visit Cite de Pera , Nevizade , Galata Tower, Galata Bridge , fish market , Yeni Mosque, historical Sirkeci train Station, and so on. Yes. Everything you want to visit in Istanbul is on the way to Sultan Ahmet from our hostel. Check in from 12pm or leave your bags before ; at our luggage room. But if we have a bed available at the time of your arrival, we’ll be more than happy to provide that bed for you. But we can not guarantee the early check in. 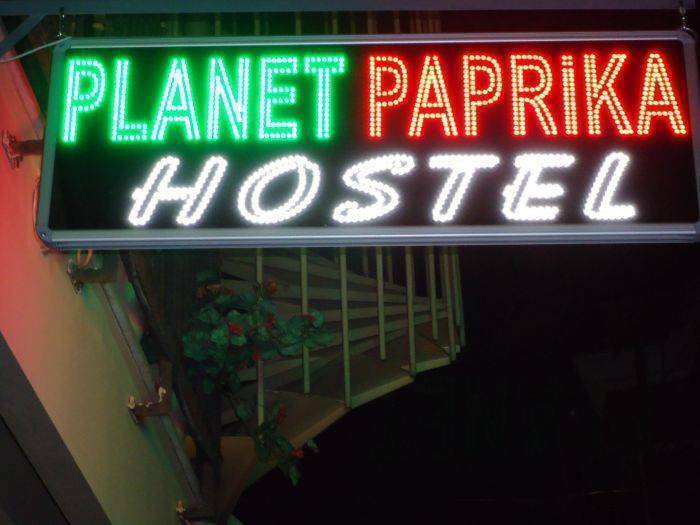 Planet Paprika has a 24 hour cancellation policy. You need to contact us by 12. 00pm the day prior to arrival to make any changes or cancel your reservation. Otherwise you will be charged for the first night of your booking. 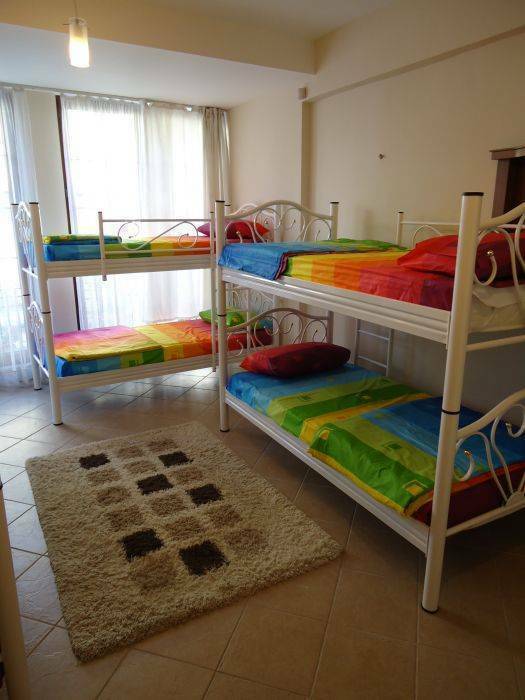 We have Girl’s Dormitory room and Mixed Dormitory rooms. Each dorm room has 8 bunker beds with a bathroom. One of bunker bed in every room is the double sized, so each room can accommodate 9 guests at the same time. If a couple or the close friends who want to share the double bed in the dorm room, can book “double bed in the dorm” from room type. 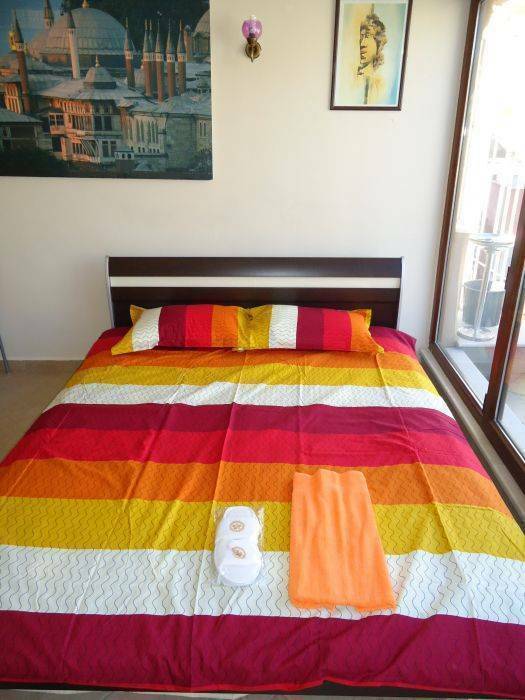 In this case you should reserve a one bed for two guests. You don’t need to book two beds. 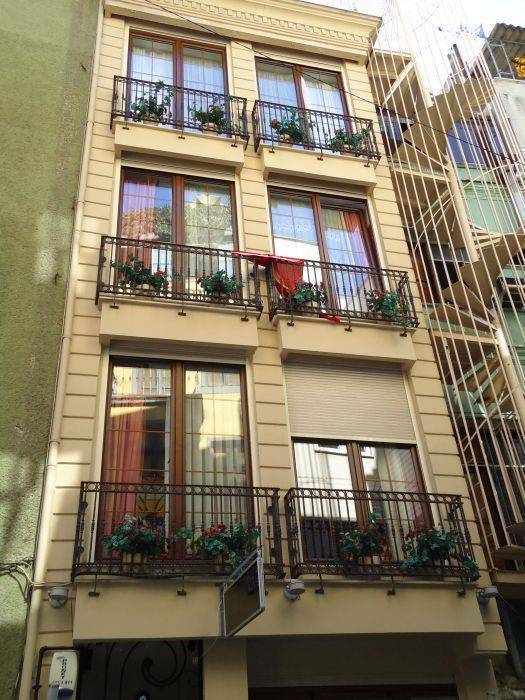 This room has 1 double and 1 single bed with a big balcony. Inside the room, you have TV, fridge and a bathroom. Rooms with air conditioning, toilet and shower in the room, wi-fi , hair dryers at rooms. The best way is taking the Havas bus, airport shuttle bus outside the airport(white busses). It costs 10 TL/5€ to Taksim Square and takes about 30 minutes. The cheapest way is taking a metro from the airport to Aksaray station(1. 75 TL). There you can transfer to tram to Kabatas direction (1. 75 TL). At the Kabatas Station you need to transfer to “funicular” to Taksim Square(1. 75 TL). It costs 4. 25 TL for the whole ride and takes about 45 minutes to 1 hour. It costs about 40 TL to Taksim Square. You are advised to settle down the fare in advance. Take the Havas Bus (13 TL / 6. 5 €) to Taksim Square. It will take 1 hour. It costs about about 80 TL. You are advised to settle down the fare in advance. Most of the bus companies will provide the shuttle service to Taksim square from their bus station for free. So when you book your bus ticket, you’d better ask the availability of this service. You can take metro from bus terminal to to Aksaray station(1. 75 TL). There you can transfer to tram to Kabatas direction (1. 75 TL). At the Kabatas Station you need to transfer to “funicular” to Taksim Square(1. 75 TL). Take the tram to Kabataş direction (1. 75 TL). It is just on the opposite of Sirkeci train Station exit. Kabatas Station is the last stop At Kabatas Station you need to transfer to “funicular” to Taksim Square(1. 75 TL). It costs 3. 50 TL for the whole ride and takes about 30 minutes. Just find the big bus station at Eminönü nearby the sea, near Galata Bridge. Ask for the busses to Taksim. It costs 1. 75 TL for the whole ride and takes about 15 minutes. It will be easy to find. Everybody knows Taksim Square. You can simply ask to local people “Taksim Meydanı nerede?…”, It means where is Taksim Squre. Or once you find the monument, called “Taksim Victory Monument”, or Burger King (it is located at the beginning of Istaiklal Street. Then you know that’s the Taksim Square. Find the nostalgic tram rail on the ground. But don’t take the tram. Just find the rail road for tram. There you will see Cafe Bunka, Sushi Restraunt, Japan Culture & Information Center on your right at the corner, the green building, we are next to this building or you can see the laundry shop on your left, Avrupa Kuru Temizleme. At this corner turn right. We are on your left side beside Cafe Bunka , Sushi Restraunt, Japan Culture & Information Center. Please, don’t take a taxi from/at Taksim square, we are very very close from/to Taksim Square.